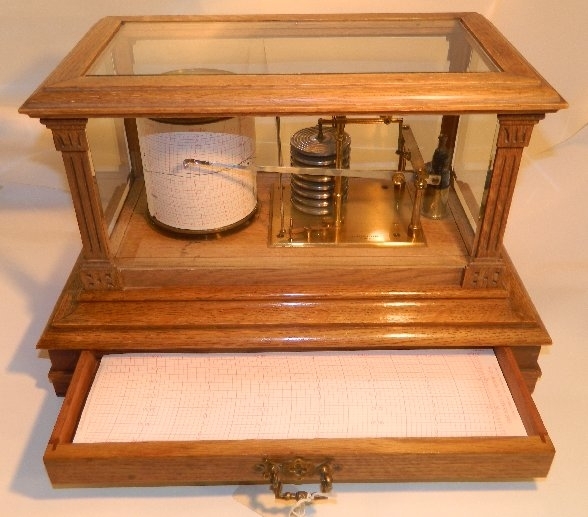 A good late 19th century oak Barograph. 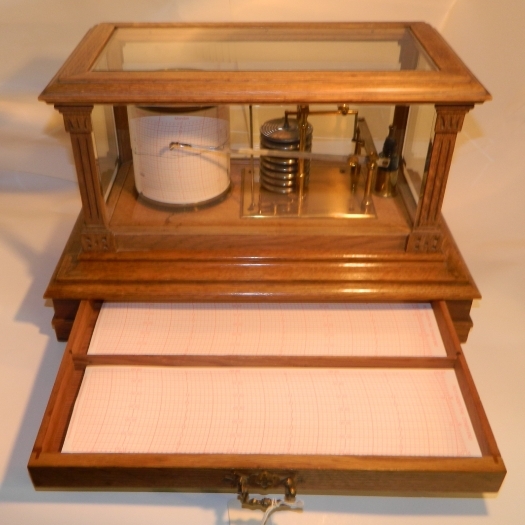 A better than usual oak cased Barograph. 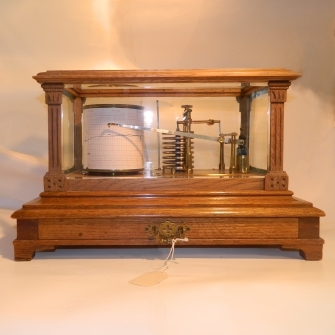 The eight day clock movement has its original French Cylinder platform escapement and the barometer movement has an eight tiered Aneroid capsule. The light oak case has a shaped top moulding, square carved pillars and capitals, shaped base with four feet and a full depth double compartment chart drawer with a brass swinging handle and plate. 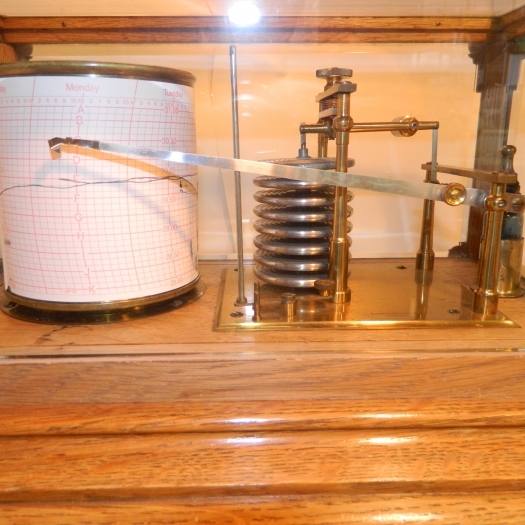 Also having five bevelled glass panels - all in good condition. 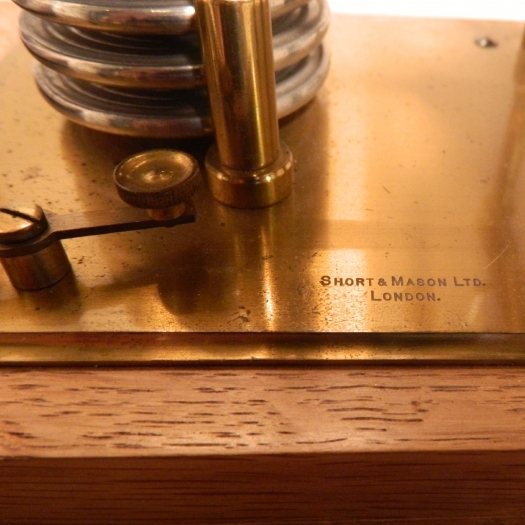 Made by and the brass baseplate signed by Short & Mason (of) London. Dimensions: 15 1/4" wide x 9 1/4" deep x 10" high.